If you use Apple’s Keynote to create presentations, there’s no better way to get a head start on your next one than with a template. 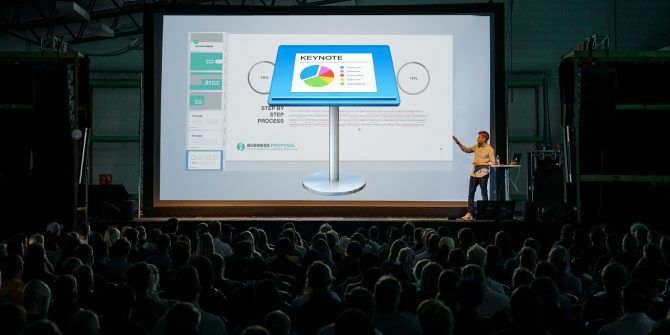 Create impressive presentations for business, medical, or educational industries with these awesome free Keynote templates. Get your business proposal in order with a powerful presentation. This Keynote template gives you the elements you need for any industry. There are a whopping 50 slides in this template, so you have complete flexibility to use only what you need. The first several slides work for section breaks, then you’ll see text and image slides, and finally an array of diagrams like timelines, graphs, and charts. It all makes for a stunning yet easy proposal. If you need to create a monthly presentation to report on your company’s income and expenses, sales and downloads, or geographic information, this is the template you want. 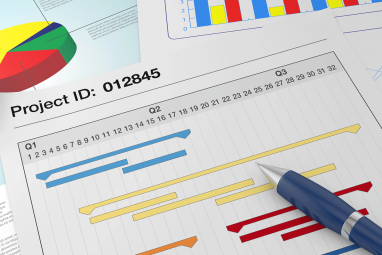 With over 30 slides, you can cover a monthly report presentation with ease. Display project details with photos and videos, create pricing plans for your subscriptions, and use a monthly timeline to summarize updates. The entire deck offers a professional look and feel with a bit of color for an attractive appearance. Maybe you would like an animated business presentation, but don’t have time to put all those actions together. Check out this template instead. The animations are provided for you, so you can just edit it to add your data and you’re done. The slides and elements have subtle animations, so the template retains a professional appearance. You have 25 slides to work with that hold spots for text and images using various layouts. If you’re looking for a time-saving way to create an animated slideshow, this is it. If you want to create a nature-themed presentation, here is your template. The colors aren’t overdone, so your slideshow will look clean and business-appropriate while retaining its theme. This template has 24 slides that include placeholders for text and images, pre-built diagrams, and bulleted lists. If you have a service such as landscaping or lawn care with monthly plans, there is a slide perfect for that. So if you are in the business of green, this is a wonderful template to use. Need a flowchart template for your Keynote presentation? This one gives you several flowchart styles Create Professional Diagrams & Charts with These 6 Free Tools Create Professional Diagrams & Charts with These 6 Free Tools Diagrams and charts are not solely the domain of office workers and people in the business world. These six free online tools give you the power of instant visualization. Read More to pick from for your slideshow. You can choose from simple workflows or timeline flowcharts (each on a separate slide) with graphics that are attractive and useful. Easily swap out the colors to match your company theme and add additional text where you need it. Then pop the flowchart into your presentation where it fits. Are you in search of a template to diagram Strengths, Weaknesses, Opportunities, and Threats (SWOT)? This is a terrific option if you are, because it offers 10 different layouts. With warm colors, display your SWOT diagram in whichever way suits you best. Squares, circles, rectangles, columns, and rows are all at your disposal. Create one or more and them insert them into your own presentation for just the right effect. Whether you want to display your project, accomplishments, or sales on a timeline, check out this helpful template. Each of the 11 slides gives you a unique way to view your timeline. So you can use just one or a few for showing various information. 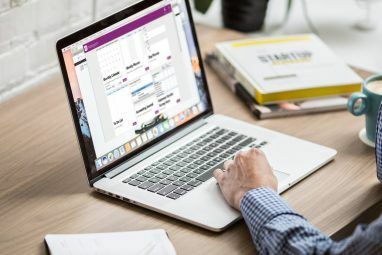 Use one style of timeline to display project deliverables, another to show quarterly sales goals, or yet another for a big business view of accomplishments. The slides have slots for text to go along with the timelines, which is perfect for brief summaries of what your audience will see. Don’t forget that you want to hold your audience’s attention. You should know a vital presentation trick This Presentation Trick Steals Back the Audience's Focus Every Time This Presentation Trick Steals Back the Audience's Focus Every Time Tired of the audience staring more at your slides than at you? Here's a quick trick to solve that issue once and for all. Read More in case they lose their focus on your slideshow. If technology is your industry, this template works well. For computer services and repairs, electronic products and sales, or independent consultants, use a template like this one that matches your mission. The template offers an attractive laptop background but you can swap that out for your company logo if you prefer. There is plenty of space for both text and images on the template’s 12 slides, along with colorful icons for emphasizing key points. If you are looking for more images for your presentations, take a look at the images Adobe Stock has to offer or a few sites with free stock images 5 Lesser-Known Free Stock Image Sites for Images That Stick Out 5 Lesser-Known Free Stock Image Sites for Images That Stick Out These lesser-known stock photography sites are just as good as any of the popular ones. Try them for royalty-free images that are completely free. Read More . When you need to create a business plan, having those essential pieces at your fingertips is not only necessary for your company, but can save you time. This business plan template for Keynote offers 10 slides that encompass a complete package. Start by adding company details, move on to display your services, show how your processes work, and include a globalization diagram. You can also show yearly and quarterly sales along with plenty of photos of your products or services. A nice and neat presentation template to fit nearly any business industry, this one gives you the basics you need. The template has 10 slides that let you easily mix and match the types you want. You can customize slides with photos for members of your team, a graph for quarterly sales, and a quick snapshot of earnings or expenses per item. Each slide has a unique look and format that includes spots for both images and text. If a medical theme is what you need for your Keynote presentation, this template is perfect. It has a clean appearance with a stethoscope on a few of the slides. There are 23 slides in all. These range from content and images, to charts and graph, to maps and device mockups. Keep those you need, add your own data and images, and create a powerful medical-themed slideshow easily. Maybe you work in the education industry and need a themed template. This one is suitable for college lectures, school meetings, and classroom presentations. With 23 slides and a chalkboard for the main theme, you can create a fantastic slideshow with little effort. Use a motivational quote on the text slide, charts to describe your concepts on another, and a table to clearly display data. This educational template has these options and more for an eye-catching and informative slideshow. If you have been searching for templates better than those built into Apple’s Keynote, then this list should have you covered. And if you are struggling with the basics of Keynote or want some advanced Keynote tips 18 Advanced Tips for Pages, Numbers, and Keynote 18 Advanced Tips for Pages, Numbers, and Keynote Want to become more productive in the iWork suite? These advanced tips will help any Mac user create better documents, spreadsheets, and presentations. Read More , we have you covered for the entire iWork suite. Explore more about: iWork, Office Templates, Presentations, Slideshow.